Students in Tulane’s online social work programs are plugged into a university that not only possesses a high-profile and prestigious reputation but is also actively shaping and participating in vital conversations about healing from disaster relief, what a culturally relevant social work practice looks like on the ground, restorative justice and fostering community resilience. 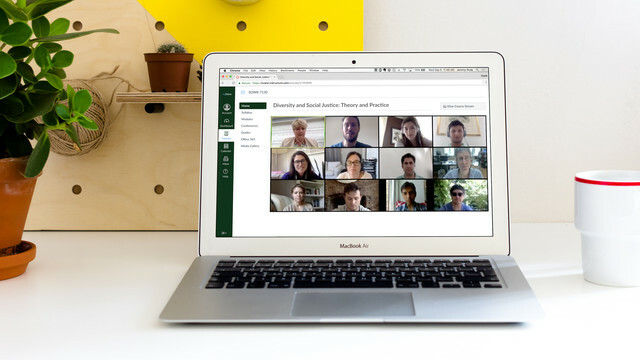 When a student enters Tulane University's online social work programs, they can expect to be part of weekly live sessions (synchronous coursework), which take place in Canvas. Classes are conducted via Canvas to ensure that every word and image is crisp and clear, and that students can see themselves and the instructor at all times. When it’s time for small-group work, students can use personal zoom rooms to prepare for class presentations or host study sessions. 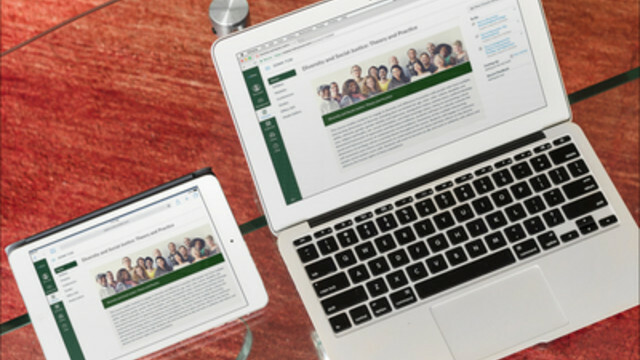 We equip online students with apps to install on their mobile devices, laptops, and tablets (or any combination thereof) so that course material and assignments are accessible wherever and whenever students need them. That way, if online students need to get some reading done during a lunch break in the park, all they need is their tablet, and if they need to start a live small-group discussion while riding the bus home, all they need is their phone. Our online social work programs build on the impressive legacy of an institution that has been recognized for over a century as an innovator and pioneer in the field of social work. Tulane founded the first training program for social workers in the Deep South over a century ago, and since then, the school has been a nationally recognized destination for people who want to do work that matters. The School of Social Work makes sure its programs are as affordable and accessible as possible—and the online offering helps enhance that accessibility. The quality of our programs is just as important to us. Our top-ranked MSW and DSW degree programs are accredited by the Council on Social Work Education (CSWE). Our technology is thoughtfully designed to facilitate connections with peers and instructors, so every student can communicate as she’s most comfortable. If you have something to say during class but would rather not speak up, you can use the chat pod to type a comment or question or post a resource. Our technology also makes it easy to attend class with your classmates at the same time each week—wherever you may be located. Our Learning Management System, Canvas, makes it easy to seamlessly submit assignments, take quizzes, keep track of your schedule and participate in group discussions. On the go accessibility with the award-winning Canvas app, available on Apple iTunes and Google Play Store.